American cliff swallows Petrochelidon pyrrhonota, copyright Mark Watson. 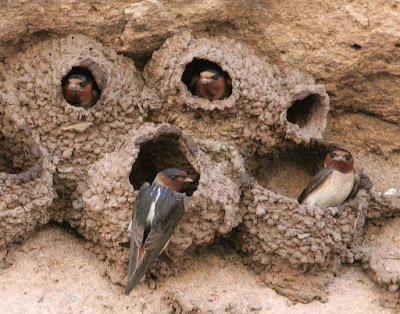 Petrochelidon, the cliff swallows, is a genus of swallows that nest colonially, building nests from mud cemented to surfaces such as cliffs, building walls or inside tree hollows. 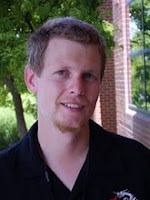 [J06] Johnstone, R. E. 2006. The birds of Gag Island, Western Papuan islands, Indonesia. Records of the Western Australian Museum 23 (2): 115–132.